Starman, E.T., Close Encounters of the Third Kind. They’re all films that director Jeff Nichols cites as influences for his upcoming sci-fi film Midnight Special. And you can see that Eighties/Steven Spielberg influence both in the first image and poster released from the film. Midnight Special stars Michael Shannon and Kirsten Dunst as the parents of a boy with special powers. However, when the world finds out, they have to go on the run. Along for the ride are Star Wars-alums Joel Edgerton and Adam Driver as well as Sam Shepard. Here are a few images via Entertainment Weekly. That is creepy. What can he do with his eyes? Nichols is best known for two very good, but very different films: Take Shelter and Mud. A sci-fi movie with that kind of grounding and humanity sounds like it could really be something great. Something worthy of a mention alongside classics like E.T. and Close Encounters. Hopefully we get a trailer soon. 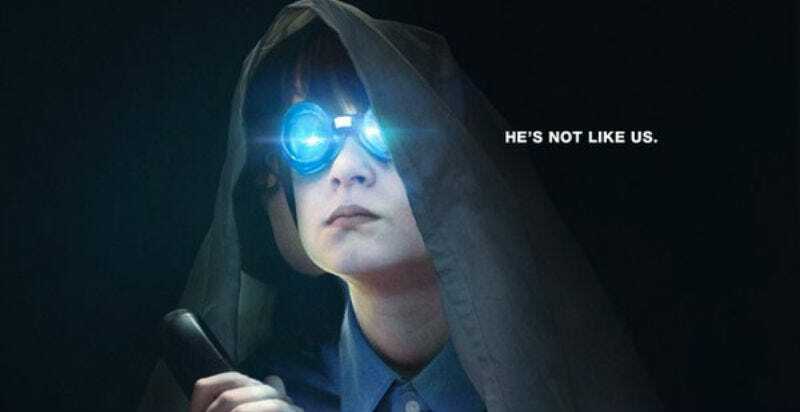 Midnight Special opens March 18.